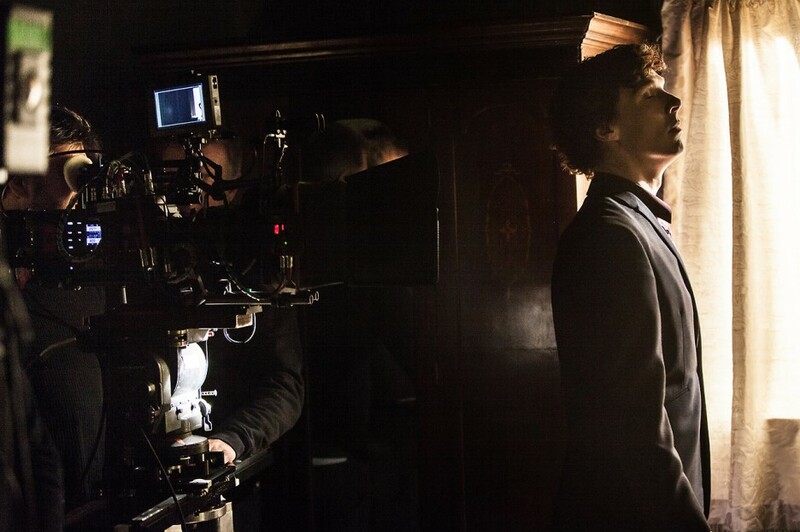 Hello and welcome to a new running feature where we bring you a collection of behind-the-scenes images from Sherlock! For your clicking pleasure, we present 25 behind-the-scenes photos from across the show’s five year history. Knock yourself out with these and if you are still hungry for more, visit our gallery for the upcoming Sherlock special! Smile for the camera, Ben! Who’s that guy with the long hair? Martin Freeman, ladies and gentlemen! Who says acting is all hard work? The rigged tube train in The Empty Hearse was specially built for filming.